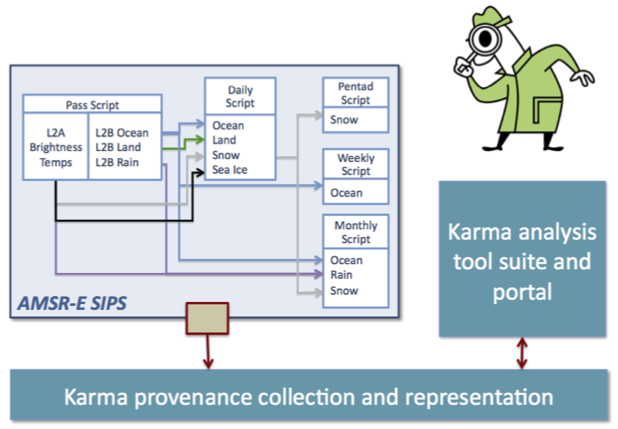 The Instant Karma project integrates Karma, a provenance collection and representation tool developed at Indiana University, into the AMSR-E Science Investigator-led Processing System (SIPS) production environment, managed by NASA/MSFC and UAHuntsville. The AMSR-E SIPS generates science data products from AMSR-E observations. Instrumenting the AMSR-E processing software allows collection of provenance information into a repository as science data are generated. 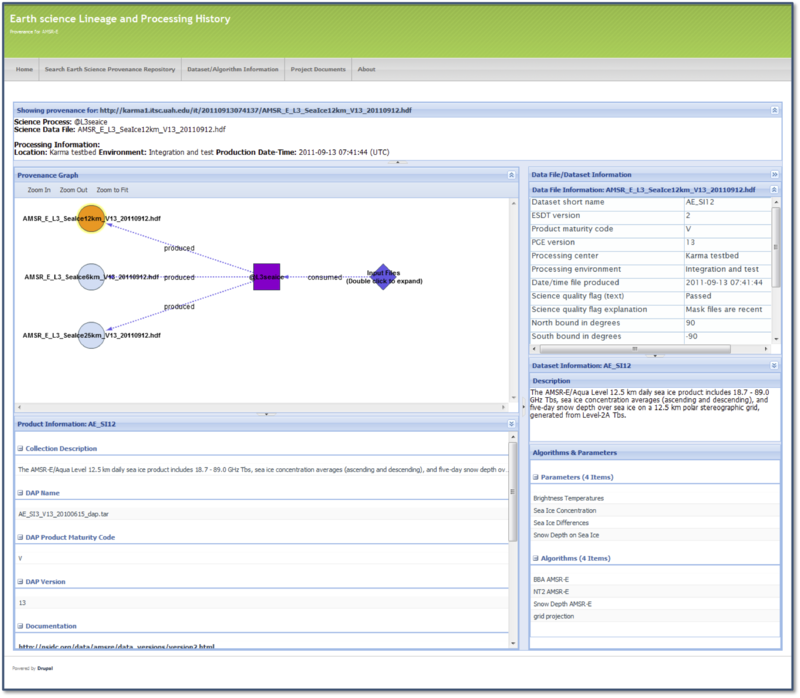 The interactive provenance browser allows users to view the provenance graph for a specified data product. Users can trace the full lineage of a data product by viewing the provenance information for each input file. An initial focus on Sea Ice processing will allow the project to engage the Sea Ice science team and user community in customizing Karma for NASA science data.